Very impressed with how dry they keep my feet. Wish they were easier to put on. Very comfortable shoes with a great design. Perfect shoes for working in the yard. They fit great and keep my feet cool. Definitely a worthwhile investment for yard work in the extreme Florida heat! The shoes are comfortable and seem to be all I expected. After wearing these shoes for several months, I am even more impressed with them. My son and I were planting trees in his mud hole of a back yard. My Kujos were covered with mud and water inside and out. We finished for the day, I sprayed them down inside and out with plain water, let them dry for a few days and they are like new. One comment, the heel tab should be a little bigger for a man's hand and stitched more firmly. Place inward pressure on my ankles. Unwearable. The shoes are a little wide. More importantly, they tilt to the inside, placing sideways pressure on my ankles. This makes them unwearable. Definitely loved how they fit and looked. 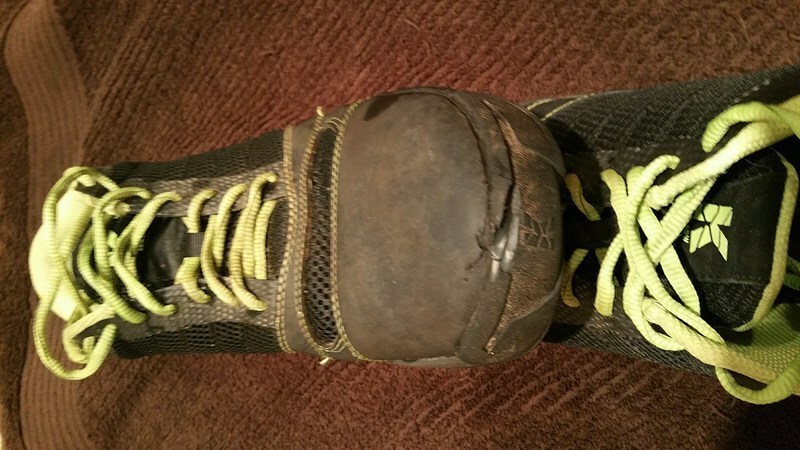 The only setback was after wearing them for the first 2 days, the toe had a piece missing from it. Kujo said they were giving me a refund, but haven't received one yet. I like everything about the shoe, however it is somewhat difficult to put on. High Quality, I love the sole and feel. These shoes are incredible! Well done!!! I can't wait to Spring Clean outside. When the shoes finally arrived, I discovered they are too narrow and hard to put on even though I ordered a half size up and changed the lacing. Maybe they will break in over time; I use them when doing yard work. The hype and delay were not worth the wait. I realize new shoes are stiff but these are very stiff; that being said, I really like the comfort of the soles and also the high sides. Appreciated an extra pair of shoelaces for a different look! The shoes feel slightly bigger than the size I ordered, but not a whole half-size bigger. I think it is just for comfort and breathability. I like the shoes so far. I used them to wash my car and they kept my feet dry, and were comfortable the entire time I was wearing them. After one month of use they are performing as I expected.